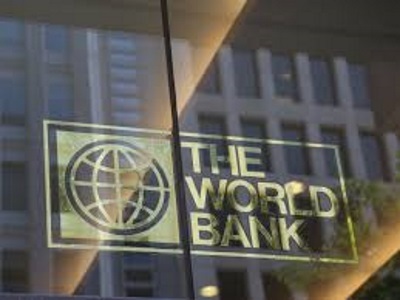 WASHINGTON, Oct 4, CMC – The World Bank says remittances to Latin America and the Caribbean are expected to increase by 6.9 per cent to US$79 billion this year. In the latest edition of the Bank’s Migration and Development Brief, the Washington-based financial institution noted that “economic growth and improvement in the labour market in the United States is having a positive impact on the outlook for remittance flows”. Dilip Ratha, the lead author of the Brief said “remittances are a lifeline for developing countries; this is particularly true following natural disasters, such as the recent earthquakes in Mexico and the storms devastating the Caribbean. “It is imperative for the global community to reduce the cost of remitting money, by eliminating exclusivity contracts, especially in the high-income OECD (Organization for Economic Cooperation and Development) countries. There is also an urgent need to address de-risking behaviour of global banks,” he added. However, the report notes growth in remittances to the region will moderate in 2018 to US$82 billion. The World Bank estimates that officially recorded remittances to developing countries on a whole are expected to grow by 4.8 per cent to US$450 billion for 2017. It said global remittances, which include flows to high-income countries, are projected to grow by 3.9 per cent to US$596 billion and that the recovery in remittance flows is driven by relatively stronger growth in the European Union, Russian Federation, and the United States. The Bank says those regions likely to see the strongest growth in remittance inflows this year are Sub-Saharan Africa, Europe and Central Asia, and Latin America and the Caribbean. It said in keeping with an improving global economy, remittances to low- and middle-income countries are expected to grow modestly by 3.5 per cent in 2018, to US$466 billion, adding that global remittances will grow by 3.4 per cent to US$616 billion in 2018. The Bank noted that the global average cost of sending US$200 remained stagnant at 7.2 per cent in the third quarter of 2017, adding that this was significantly higher than the United Nations’ Sustainable Development Goal (SDG) target of three per cent. The Brief presents the results of a survey, conducted by the International Labour Organization (ILO) and the Global Knowledge Partnership on Migration and Development (KNOMAD), on recruitment costs paid by low-skilled migrant workers. Reducing recruitment costs is a part of the Sustainable Development Goal (SDG) of promoting safe, regular and orderly migration. Such costs can be exorbitantly high in some corridors, the Brief noted.